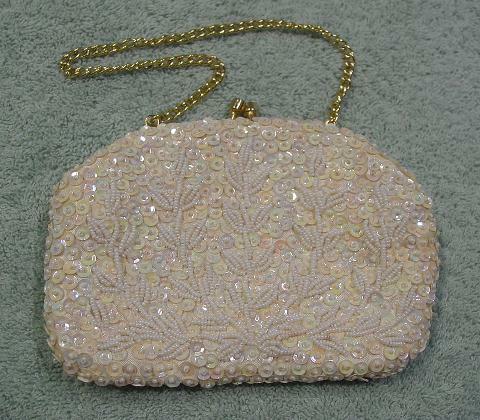 This vintage little evening purse is a Safco Bag and was handmade in Hong Kong. 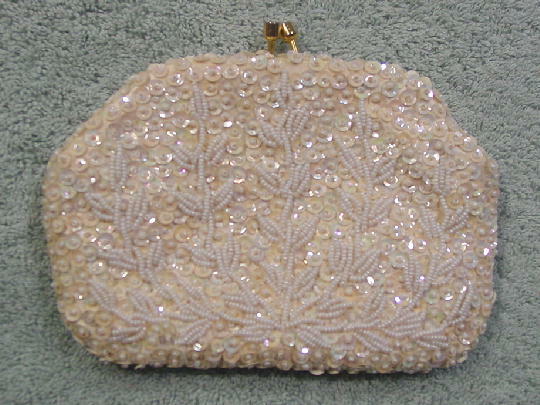 It has a 12" long gold-tone link chain handle which can be tucked inside so you can carry it as a clutch. There is an antique white (probably acetate) lining with a little open pocket. 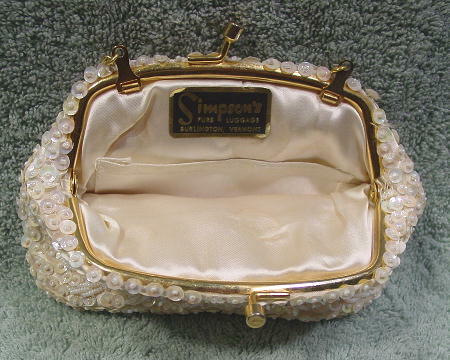 It has an interior black and brass sticker that says Simpson's Furs Luggage Burlington, Vermont. The antique white fabric background is covered with iridescent creamy sequins with a tiny faux pearl in each center. The front and back both have a leaf design in tiny faux pearls. It has a gold-tone rim and bypass closure. The lining has a stain on both sides. It's from a former British model.